Chris Samnee: Buffy is back!! It's official, Dark Horse's Scott Allie announced in San Diego that Buffy is coming back to comics with none other than Joss Whedon himself behind the wheel. Laura and I are HUGE Buffy geeks so this is major news for us, and since it's set in continuity as "season 8" it just makes it that much cooler. 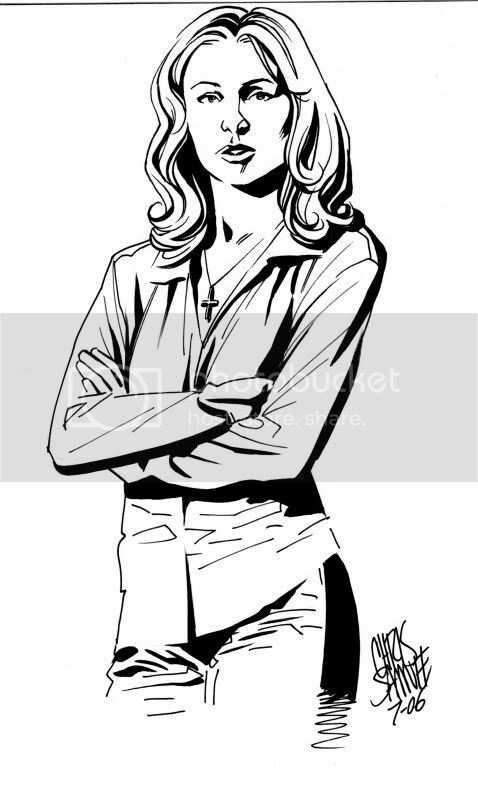 Here's a drawing of Buffy (aka Sarah Michelle Gellar) to commemorate the news.